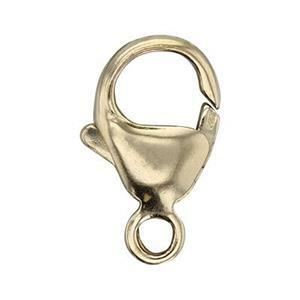 This gold filled lobster claw is a great addition to any beading or jewelry making business. It is easy to use and is an incredibly secure clasp for your larger and heavier necklaces, bracelets and anklets. Lobster clasps contain an internal steel spring for the trigger function. EXCELLENT QUALITY...WORKED PERFECTLY ON THE BRACELET I WAS MAKING.